Today we are excited to launch a brand new, faster and easier-to-use camera with art and special effects to help make your conversations better than ever. Rolling out globally over the coming days, we hope you’ll be as happy as we are with the new experience in your favorite messaging app. We’ve seen that the way people are messaging is becoming much more visual. 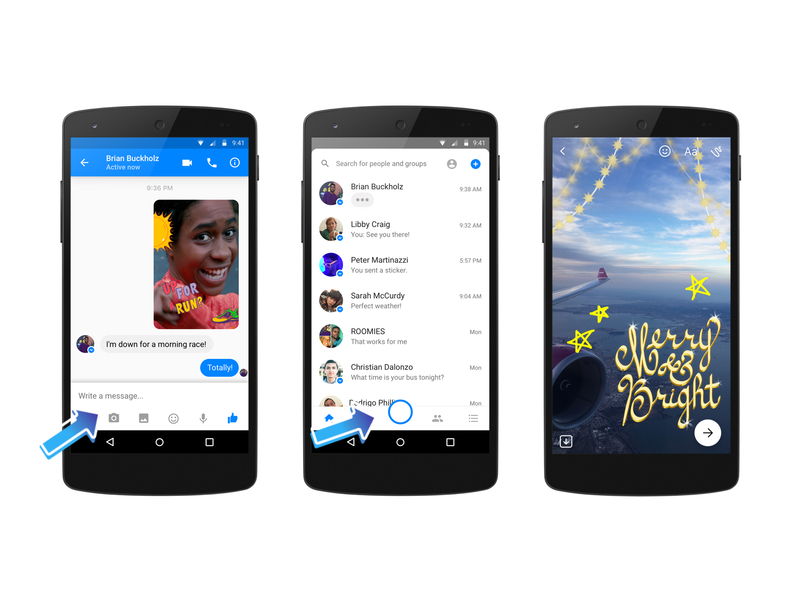 In fact, over 2.5 billion emojis, photos, stickers and videos are sent every day on Messenger. In some ways the camera is now replacing the keyboard. As more people use Messenger in their everyday lives, we wanted to make it faster, simpler and more fun to send photos and videos — so we built the new Messenger camera. It’s even quicker and easier to capture and share moments as they happen. 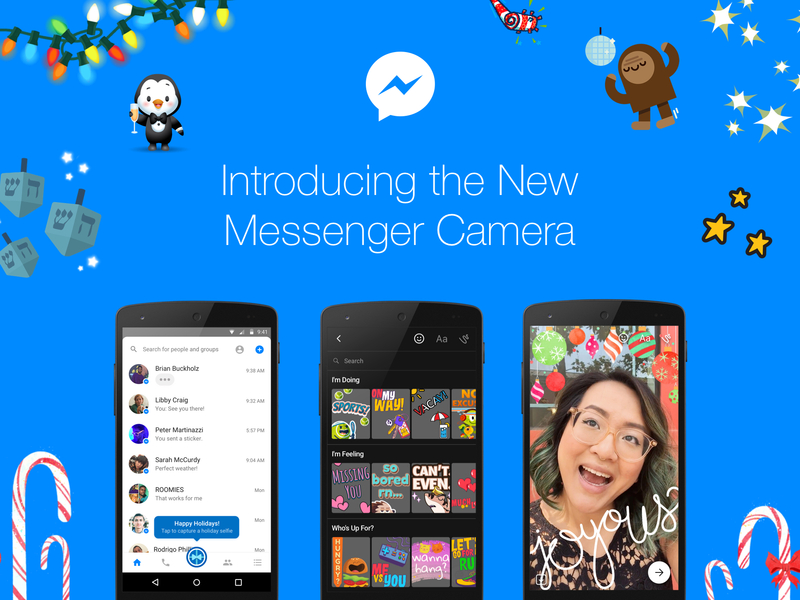 Imagine the Messenger camera as a powerful new tool that lives just behind your inbox. It’s always one tap away — whether you’re already in a conversation or have just opened up the app. You will see the shutter button center in the screen (we’ve dressed it up for the holidays!) a tap takes photo, a long press records a video. We’re also introducing a place to find new art and special effects. We are especially excited to debut 3D masks and special effects, which make it super easy to apply an artistic filter to your full screen photo and to turn your world into a work of art. Try them out — you can take a selfie and transform into a reindeer or play with falling snow or even just ask someone how they are doing — it’s the perfect way to spread a little happiness in your messages. We’ve also added thousands of stickers, frames, masks and effects to choose from too — and you can personalize exactly how you use it. 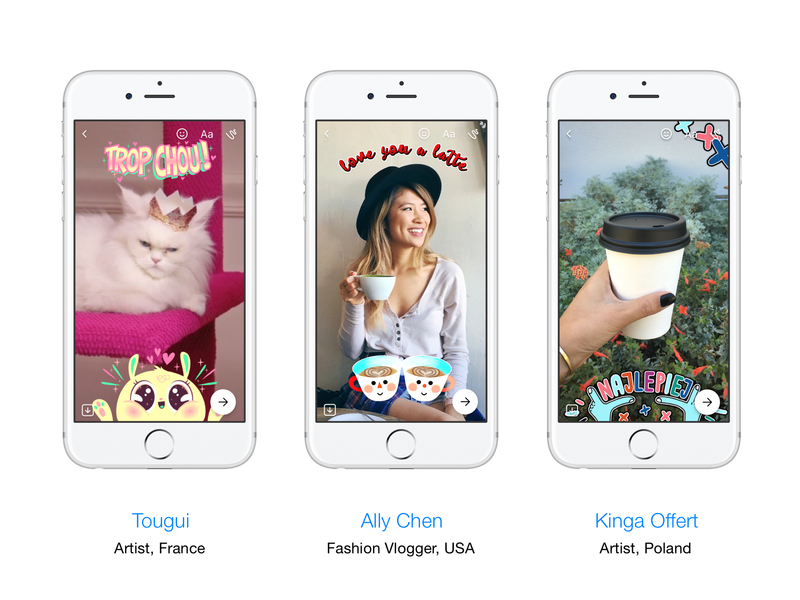 We’ve worked with artists and influencers all over the world and these artists have added their own touch to the customization tools you can now use in Messenger. And there’s more! Unique to Messenger we’ve also created a place where you can make your text messages even more fun. Check out the palette icon by the shutter and it will take you to a blank canvas where you can add art and stickers to your text. We’re making it super easy to add more delight to the conversations you’re having about what you’re doing, how you’re feeling and the plans you are making. Of course, if you just want to send a message with only text, you can still do that too. All of the features that you know and love in Messenger are just the same. We can’t wait to hear your thoughts about our new Messenger camera!